India is looking to accelerate its foreign investment drive even as ratings agencies say the worst may be over for Indian economy. In what looks like a major reforms push, the Indian government is considering further liberalising foreign investment cap in various sectors, P Chidambaram, India’s finance minister, said on Tuesday in New Delhi. “Many caps can be removed or certainly relaxed … Some of these caps are completely irrelevant in terms of the changed situation,” he told a Indian news channel. In September last year the government liberalised Foreign Direct Investment (FDI) norms for various sectors, including retail and aviation. “We need to clear some of the cobwebs accumulated in India and go out and woo specific business houses,” he said. While the Cabinet has approved hiking FDI limit in the insurance and pension sector to 49 per cent, a bill to that effect is pending in Parliament. Up to 49 per cent FDI is allowed in commodity exchanges, asset reconstruction companies, credit information companies and private security agencies. 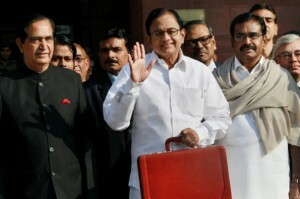 In the union Budget, Chidambaram highlighted the need to attract foreign funds to finance the rising current account deficit (CAD), which is the difference between the inflow and outflow of foreign currency, which is currently at $75 billion. The government has also taken several steps to attract foreign funds in the country by liberalising the external commercial borrowing (ECBs) norms. A recent HSBC survey reported that India’s economy expanded at a faster rate than China last month. India’s government has also announced steps to come up with an accepted definition of FDI and portfolio investment where a foreign investor with more than a 10 per cent stake would be treated as FDI. Montek Singh Ahluwalia, India’s leading economic strategist, said earlier this month: “The focus of government policy is to reassure foreign investors that India is wide open for business.